The children at the Burmese Learning Center can now study plant biology and food production using the example of a hydroponic garden. With the help of the YouthLinc volunteer groups in June and July, the setup was successfully installed in the schoolyard. A group of teachers and students also took a trip to the Home&Life orphanage south of Khao Lak to learn about the essentials of hydroponics and get some practical advice. The orphanage works with this type of garden for a while now and has lots of experience in maintaining it. 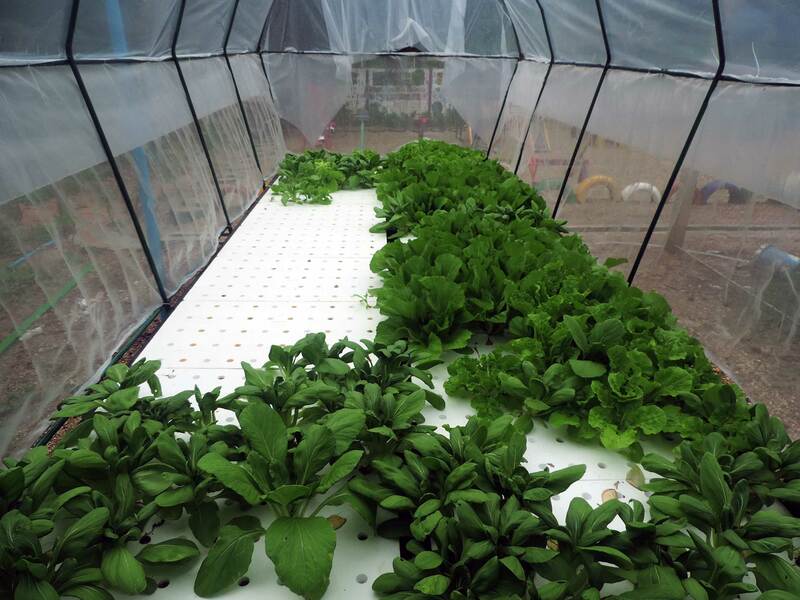 In a hydroponic garden, plants do not grow in soil, but in plastic containers filled with water and nutrients. It is a controlled horticulture system, which has several advantages: less water is required for growing plants, because it can be reused and there is no environmental pollution by released nutrients. In addition, the garden is very stable, easy to harvest and can be moved around. The first batches of vegetables have already been harvested at the Burmese Learning Center and used in the school kitchen for lunch. Some of the produce is also sold to local restaurants to cover the costs for buying plant nutrition. Learn more about the Burmese Learning Center, a donor-funded school for Burmese migrant children in Southern Thailand.